I actually have it on both the landline and on ooma (as a core feature). Again, the landline folks require a certain level of service so keeping call waiting/ID is cheaper than not having it. When a second call comes in on our landline, if it is important or for the person not on the phone, we just call them back on the ooma. So far, it has not been inconvenient. And since there are a few who know our ooma number, if a second call comes in on ooma, we can call them back on the landline, if free. The ideal of having ooma provision my landline never did seem too appealing to me, but then again, my needs and situation may be different than some. If I did not have a landline, I would order premier for the second number and direct it to a scout so I could still use my cordless phones as I now have them. I have ooma separate from my landline. My landline is on one of my wall jacks all by itself. Rarely ever use it. It has no special services, not even caller ID. 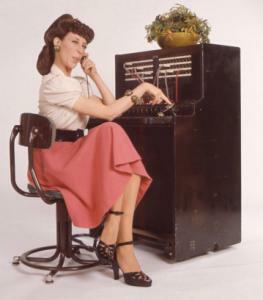 Like Southsound, the phone company made me a deal on DSL that forces me to keep the landline. If someone calls my old landline, that one phone rings, not ooma. My ooma system runs all by itself. I have one ooma number. It has caller id, call waiting and voicemail. Most people I know have my ooma number, not the old landline number. If you need another phone jack in your house just put a splitter on the one phone jack you have. brent2001 wrote: That's not all that clear in there. So if I do retain call waiting from my phone carrier, will it work 100 percent of the time? When incoming calls come in the Ooma number, it provides free caller ID and call waiting. I think CFB tends to be cheaper than call waiting (where I live anyway). What I don't know for sure is if that second call would only ring through and be answerable on other phones, or if you could "flash" between them. If it didn't get answered, I think it would still go to the Ooma voice mail. But I'm new and don't have mine hooked via my landline now, so I could be wrong. If you choose to stick with the Core service tier, call-waiting will work as long as Call Forward on Busy (CFB) is provisioned on your phone line. You do not need to have ooma Premier to get call-waiting, but you will need to work with your phone company to get CFB added to your line. I will e-mail you offline the phone number that you need to have your calls forwarded to. Another option is to forward all your calls to ooma (not just when busy). This has the added advantage of you getting Caller-ID (since ooma now sees the incoming call) without paying your phone company for it. The downside of this is that if your Internet connection drops out, then you won't be able to receive calls. Dennis P wrote: If you choose to stick with the Core service tier, call-waiting will work as long as Call Forward on Busy (CFB) is provisioned on your phone line. I will e-mail you offline the phone number that you need to have your calls forwarded to. I have been wondering about this very thing. I had a separate ooma number, but when I linked ooma to my landline, that other number went away. How can I find out what number I need to use for CFB? ...I had a separate ooma number, but when I linked ooma to my landline, that other number went away. How can I find out what number I need to use for CFB? The response from Dennis P. was referring to the call waiting feature which is part of the ooma core offering. If you want to add call forwarding on busy to your landline you have to call ooma Customer Service and they will give you a number (special ooma number) for you to foward to. WayneDsr wrote: If you want to add call forwarding on busy to your landline you have to call ooma Customer Service and they will give you a number (special ooma number) for you to foward to. I tried to explain what I wanted to do several different ways, and the only thing the guy seemed to understand was (1) decouple my landline from my ooma, or (2) port my landline number to my ooma. Of course, both of these are understood and not what I want. Do you think I just got the wrong guy at Customer Service? So whats the latest on this issue? I just have the Ooma core Basic service; no landline. We believe we dont get call waiting when folks have called us. They say they just get busy signal. Should I be calling Customer Service?